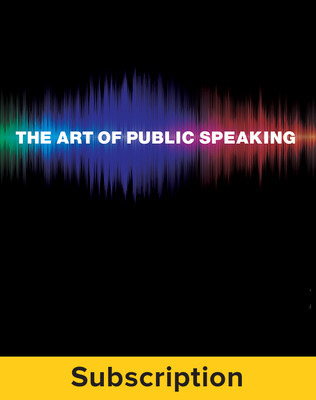 The Art of Public Speaking continues to define the art of being the best public speaker by helping today's students become capable and responsible speakers and thinkers. 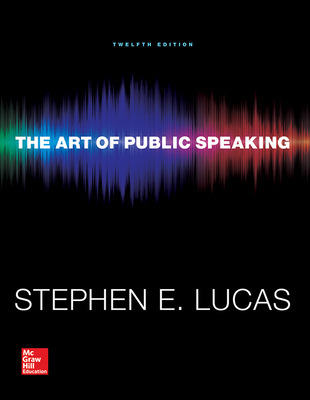 With a strong focus on the practical skills of public speaking and grounded in classical and contemporary theories of rhetoric, The Art of Public Speaking covers all major aspects of speech preparation and presentation. 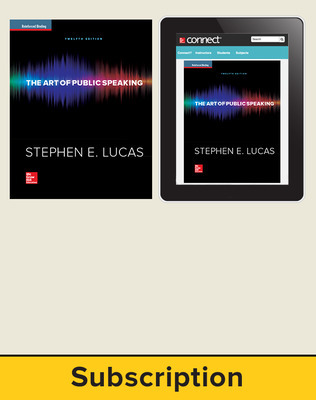 New Enhanced Speech Capture: Instructors now have the ability to evaluate live speeches using a customizable rubric. 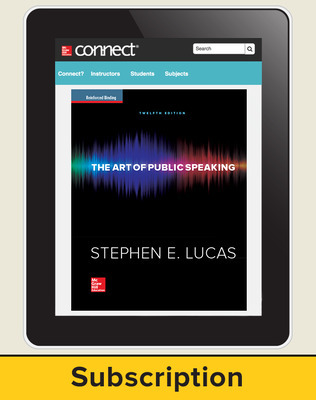 Instructors may upload speech videos on students' behalf to create and manage true peer review assignments. Ground-breaking adaptive learning system that helps students "know what they know," while guiding them to experience and learn important concepts that they need to know to succeed. SmartBook™ is the first and only adaptive reading and study experience designed to change the way students read and master key course concepts.